Turmeric is most commonly known as a food colouring agent that is used in rice and curries. You can immediately recognise this spice by its vivid yellow colour. If in case, you accidentally get it on your clothes, it will not be an easy task to remove it. 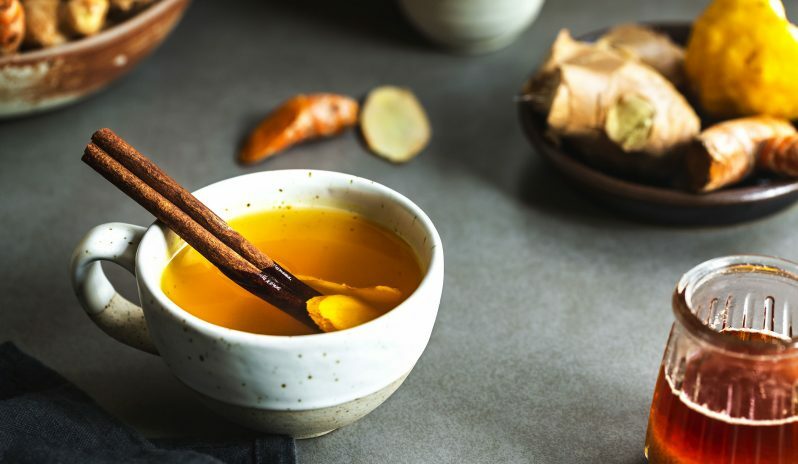 Although turmeric has been used in India and China for centuries, it hasn’t been recent since it’s anti-inflammatory elements have been discovered by the rest of the world. Turmeric can be purchased in the form of powder – can be used in smoothies, tea, or soups – or in the form of a capsule. The main ingredient found in turmeric is curcumin. Turmeric is a powerful antioxidant and has strong anti-inflammatory effects. Apart from this, there are many other health benefits of turmeric. Offsets the discomfort and pain of osteoarthritis. Improves cognitive abilities and memory. Reduces chances of heart disease. Helps to avoid chronic diseases such as dementia, heart disease, and cancer. Helps to slow down the development of cancer cells in digestive cancers and skin cancers. Curcumin is found to be effective in the prevention and treatment of Alzheimer’s disease. Turmeric can also be used as a home remedy for teeth whitening. Is There A Thing As Taking Too Much Turmeric? As it is in the case of all supplements, it is recommended you consult with your health professional to confirm if turmeric capsules are suitable for you. If you are taking turmeric supplements, you will be happy to know that they do not have any drastic side effects in the majority of people. It’s even safe if you consume turmeric at an 8,000 – 12,000 mg daily dose. However, those who are at risk of developing kidney stones must consult with their doctor as turmeric has high oxalate content. If you have gallbladder problems, turmeric can make it worse. Those who have iron deficiency should be cautious about taking a high amount of turmeric as it may prevent absorption of iron in your body. Turmeric may also decrease the blood sugar level in diabetic people. They are recommended to use turmeric with caution. Loose stools, bloating, and flatulence can occur if the dose is more than 1,000mg. If the dose is more than 450 mg, you may start to feel a headache. If the dosage is more than 8,000 mg, you may face an allergic skin reaction. You need to give turmeric some time to work its magic. You can buy turmeric powder or you can even take turmeric in the form of capsules. Once the curcumin level starts to build up in your system, that’s when you will start to see the beneficial effects. Subject to your body mass and condition, it will take approximately 4 to 8 weeks for you to see visible results.